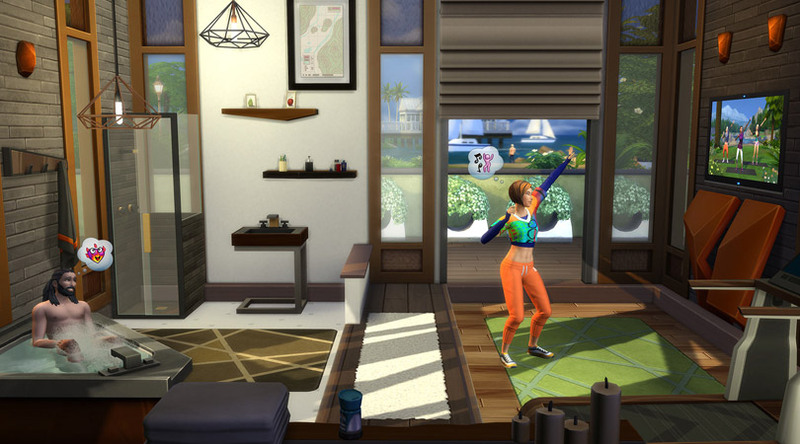 In The Sims 4 Fitness Stuff there are enough items to give your Sims a complete workout and relaxation. This new piece of equipment will give your Sim an intense workout that allows them to lose weight, while simultaneously building muscle. Plants, modern furniture, and a complete new make-over for your bathroom. Use the new earbuds and create a relaxing sanctuary for your Sims with the new objects. 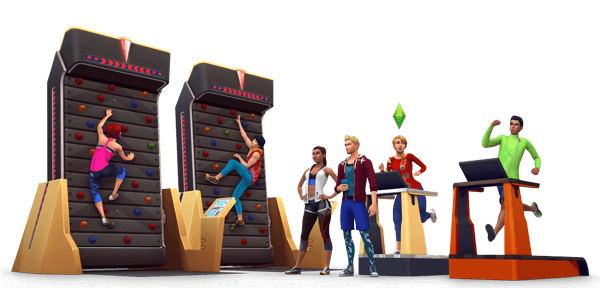 This is really a one of a kind As your Sim becomes more experienced at bouldering, they can attempt increasingly difficult climbs, as well as compete against others to set high scores. 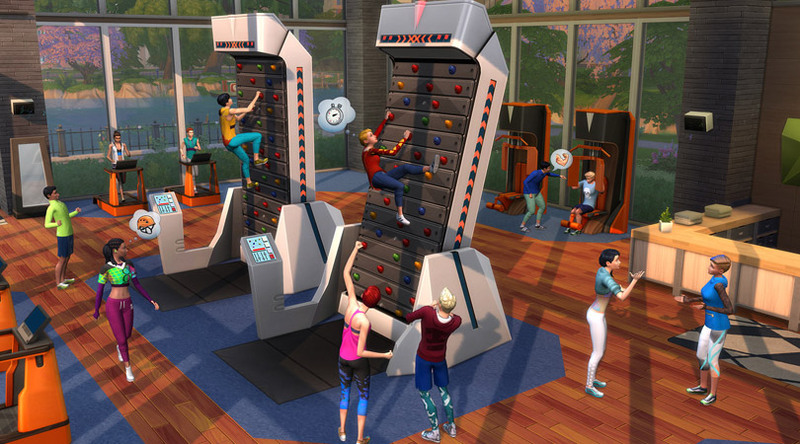 Using the rock wall counts towards your Sim’s fitness skill. Most objects in this pack are nature-inspired and a bit modern. Make your Sim’s home a relaxing sanctuary, including a set of items for your bathroom to make it the perfect place for a post-workout soak. Your Sims can now use earbuds! It’s great during a work out or when your Sim just needs a relaxing mood. Even chilc Sims can use this new feature. A new channel will be added to your excisting televisions in your Sims game so your Sim can work out with video’s. 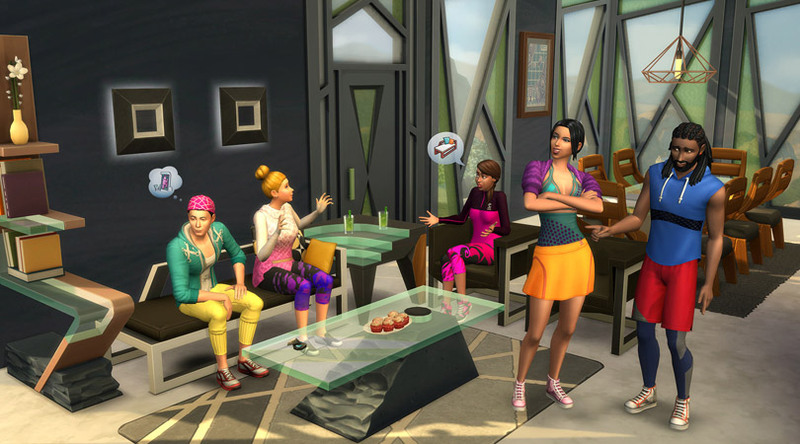 Your Sims will also walk around new sportswear to impress everyone at the gym.